I have to write about this again (radiation) because this problem is becoming so wide-spread. When I first wrote about it 2 years ago it seemed like an anomaly. they don’t want to cause alarm….especially since they don’t know what to do about it….or maybe they don’t know. Who knows? It is an epidemic! I have personally been tested and have had radiation poisoning three times and my 4 year old has even had it. Many of my friends and family have also had it. The remedy is simple but no one knows to do it. The only people that test for it is Mike Carey and anyone that uses a Spectravision Bodyscan (both methods found toxic levels of Gamma radiation in my body). The radiation attacks your lungs and thyroid and weakens your immune system such that you always feel sick. The first time I had it I was very exhausted. The second time I had the worst cold I have had in a long time and it would not go away. The third time I had swelling under my arm. My son just had a cold and the only reason I tested him was because he was right next to me when I phoned Mike Carey. The remedy is simple – a 30 minute bath with 2 cups of bentonite clay in the water up to your neck. 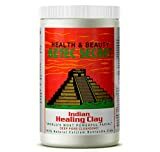 Bentonite clay absorbs toxins from the body – including radiation. It has a number of other uses as well. Below is information that Mike Carey has posted on his website. I feel it is important to copy and share. The more informed we are the better! There are roughly 330 million people in the US. A very conservative estimate is that 15% (nearly 50 million) of them are suffering from radiation poisoning and don´t know it. They run to the doctor, because of the flu-like symptoms or persistent cough, and are given antibiotics, which do nothing as the symptoms continue. Because the radiation usually attacks the thyroid and/or the lungs and bronchials, they will start to feel tired and run down while their bodies are developing cancer. Where are the warnings? A couple hundred people get measles and it is all over the news. Fifty million are very ill and there is total silence. This is a tragedy that makes Ebola look minuscule, and yet nothing is said about it. A year ago, 25% of those that I tested had radiation poisoning. Today, that number has increased to roughly 50%. Fortunately, I have a number of ways to get rid of the radiation quickly, and also some ways to prevent the body from absorbing it. Some of my clients have had it numerous times over the past 12 months. Where is it coming from? Most is coming from the melt-down that occurred at the nuclear power facilities in Fukushima, Japan about 4 years ago. Since that time, they have been dumping 300,000 gallons of highly radiated water into the Pacific Ocean every day. The currents have carried it to the West Coast of the US, where it has traveled from Mexico to Alaska, killing most sea life in its wake. From the Pacific, it is picked up in the air and dropped all over the US and Canada in the form of rain and snow. This creates HOT SPOTS and if you go into one of those areas, you get radiated. Most of those hot spots are from a particular form of radiation called Iodine 131 and have a half life of 8 days. What that means is that in 8 days, it dissipates and is no longer there. However, it does not dissipate from your body. You have to get rid of it. Once you have had it for 12-14 months, it creates nodules on your thyroid or lungs. A few months later, the nodules become tumors. Last week, I tested a young woman from the East Coast who had been diagnosed with thyroid cancer. She is very healthy, except for radiation poisoning, which she has had for 17 months. Last Friday, she had her thyroid removed, however, there are nodules on her lungs also. This is a tragedy. Many of the people, that I have tested over the past few months, have had the radiation poisoning for 8 months or more. What that means is that, in about 6 months, there are going to be millions of people in the US and Canada with cancer, and yet, nothing is being said. If you think that you may have radiation poisoning, call me, toll-free at 1-208-968-5797 and I will do a quick screening for free and if it is there, I will tell you how to get rid of it. It will take about 1 minute to check you for radiation, and this could save you a lot of agony, and maybe even save your life.